Evil is an intrinsically fascinating topic. In Lucifer, Jeffrey Burton Russell continues his compelling study of the personification of evil in the figure of the Devil. The previous two volumes in this remarkable tertalogy--The Devil and Satan--trace the history of the concept of the devil comparatively as it emerged in diverse cultures and followed its development in Western thought from the ancient Hebrew religion through the first five centuries of the Christian era. 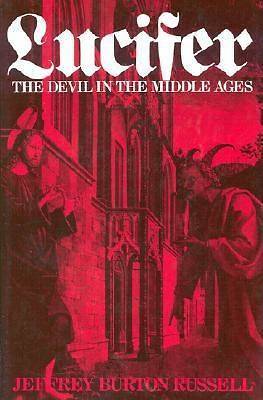 The present volume charts the evolution of the concept of the devil from the fifth century through the fifteenth. Drawing on an impressive array of sources from popular religion, art, literature, and drama, as well as from scholastic philosophy, mystical theology, homiletics, and hagiography, Russell provides a detailed treatment of Christian diabology in the Middle Ages. Although he focuses primarily on Western Christian thought, Russell also includes, for the sake of comparison, material on the concept of the devil in Greek Orthodoxy during the Byzantine period as well as in Muslim thought. Russell recounts how the Middle Ages saw a refinement in detail rather than a radical alteration of diabological theory. He shows that the medieval concept of the devil, fundamentally unchanged over the course of the centuries, eventually gave rise to the unyielding beliefs that resulted in the horrifying cruelties of the witch-hunting craze in the 1500s and 1600s. This major contribution to the history of the Middle Ages and to the history of religion will enlighten scholars and students alike and will appeal to anyone concerned with the problem of evil in our world.